The “magic team” at Room 313. 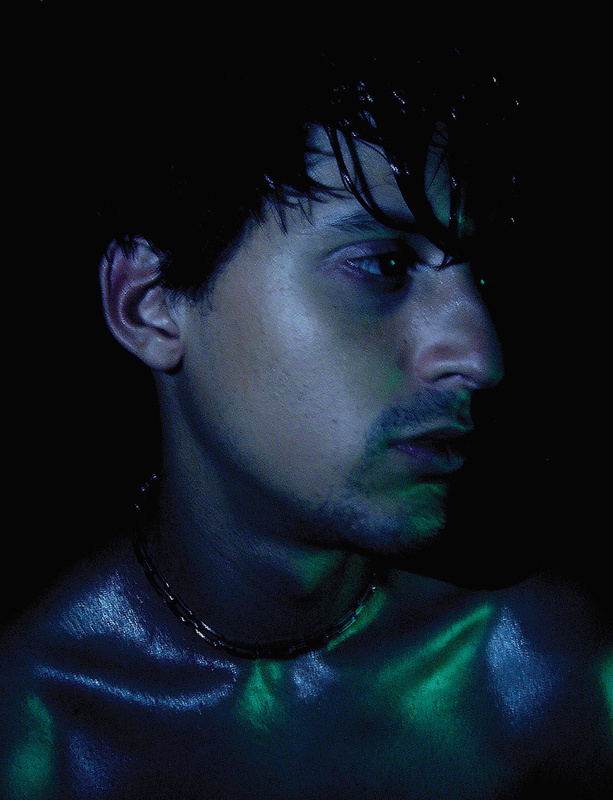 From left: Arca, Björk, the Haxan Cloak, Chris Elms. The history of rock & roll is littered with breakup albums, and early this year the genre received a notable addition in the form of Björk’s Vulnicura. The futuristic experimentation of 2011’s Biophilia has given way to exquisite yet stark string arrangements, written by Björk, augmented by cutting–edge electronics, again courtesy of Björk, mostly in collaboration with young electronic music artists Arca, the Haxan Cloak and Spaces. Together the music and the lyrics create a compelling journey from pre–breakup unease, to the desolation of her split with long–term partner, artist Matthew Barney, to post–breakup despair and eventual healing. 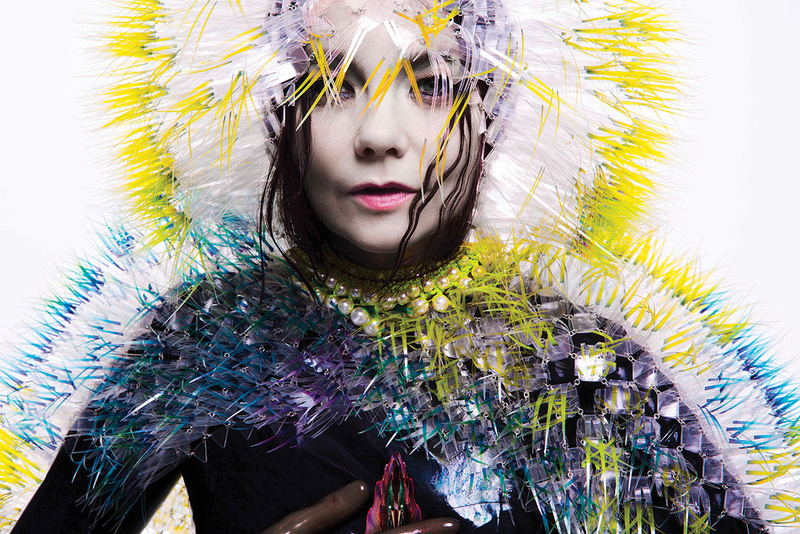 In an email interview with SOS, Björk calls Vulnicura “my most ‘psychological’ album” and “an Ingmar Bergman album”, harking back to an era when art was expected to challenge and disturb. However, while the content and approach of Vulnicura may recall times past, and the heartbreak theme itself obviously is as old as mankind, the album’s form and manner in which it was made are entirely 21st Century. 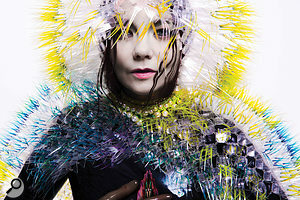 Much of the writing and recording of Vulnicura took place at Björk’s New York home, where she has the ultimate 21st Century studio. The total music–tech content consists of an Avid Pro Tools HD Native Thunderbolt system, Genelec 1032 monitors (“I like them a lot, they sound very creamy. But they can be deceptive, because everything sounds good in them. So you have to be a little careful.”), an M–Audio controller, a Telefunken ELAM 251 microphone and Neve 1081 mic preamp. She has never really played traditional instruments very much, “which is why I was so excited about the laptop in 1999. I learned to use Sibelius in that year, and most of Vespertine was done on Sibelius — all the music boxes, harps, glockenspiels, and so on. It was the same with ‘Ambergris March’ [from Drawing Restraint 9, a soundtrack album she made in 2005 with Matthew Barney]. With the string arrangements I did on Post , Homogenic and Vespertine, I gradually learned to arrange, but with Vulnicura also to transcribe and conduct when needed. I also started using Pro Tools in 1999 and kinda got hooked. I like that it isn’t on a 4/4 grid, and I can be more focused on the narration, look at the music from a film perspective, rather than as a ‘house’ club thing. But to be honest, by now you can do all things in all programs, so it is mostly about what you feel comfortable with. At the end of the day, it is about the emotion. As a singer I have also always liked the challenge of not being too hooked on gear. This maybe comes from singing through bass amps in punk bands as a teenager. If you want a certain timbre, make it with your throat! Bobby Krlic aka the Haxan Cloak. Chris Elms at London’s Strongroom Studios.Alejandro Ghersi, aka Arca, is regarded as one of the rising stars of the electronic music world. The Venezuelan, who lives in East London, has enjoyed a tremendously successful two years, programming beats for four songs on Kanye West’s Yeezus (2013) and co–producing the whole of FKA Twigs’ EP2 (2013) and part of her debut album LP1 (2014). 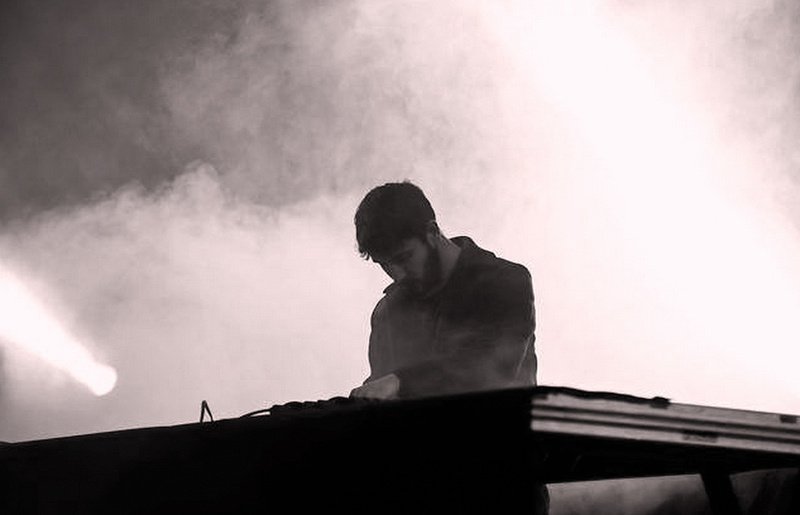 Last November he released his first solo album, Xen, on Mute. “When Björk played me the record’s songs in demo form, the strings and vocal were fully formed; the lyrics were finished and a few of the songs themselves were finished right down to their final structure. I cried like a baby first time I heard ‘Family’ and ‘Black Lake’ in their demo stages! After that we just began to unite in finding ways of solving design problems emotionally, so to speak, regarding the production. We began to do this kind of graceful dance. There was a lot of silent understanding about things, a lot of respect. Every song was different, but the tone of the actual work was childlike and fun, with us dancing and laughing to the beats. There was something really beautiful about working on a record on such a heavy subject matter with such a delicate lightness and playfulness. 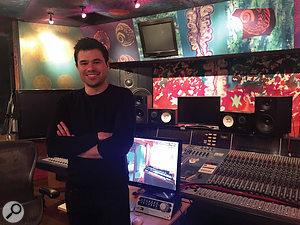 Björk and Ghersi sometimes worked together in the same room, in New York or in Iceland, and the latter also spent time working on the material at his London home studio. Ghersi uses Ableton Live rather than Pro Tools, which meant that Björk and he had to create WAV stems and load these into each other’s sessions. According to Ghersi, this potentially cumbersome process actually worked to their advantage. “I did not find it a problem at all. 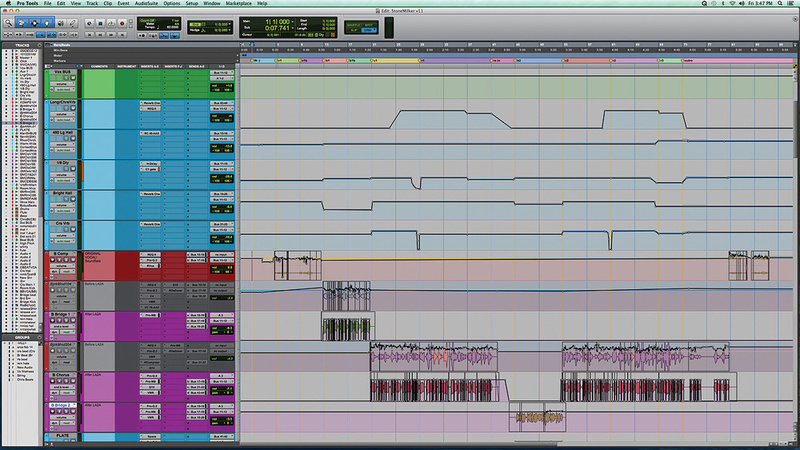 It was actually quite liberating to bounce stems down now and then, because it gently forced me to commit to things. I never thought about switching to Pro Tools or another DAW. 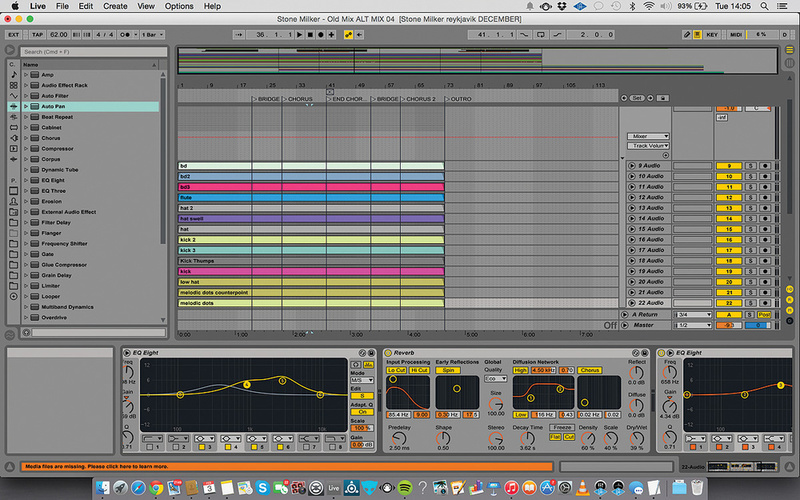 Ableton is like a limb now. I switched over to it from Fruity Loops about eight years ago, on a whim to be honest, and I immediately liked how Ableton allows for quick and intuitive sample manipulation. 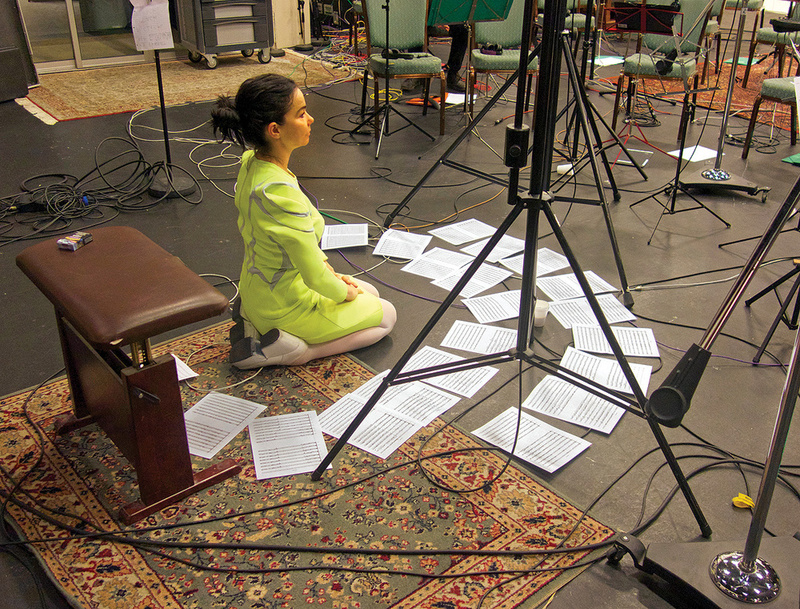 Between the Autumn of 2013 and the early Spring of 2014, Björk and Ghersi programmed and reworked much of the album, with the two co–producing seven of the album’s nine tracks — Björk produced the album’s opener, ‘Stonemilker’ and its closer, ‘Quicksand’, alone. 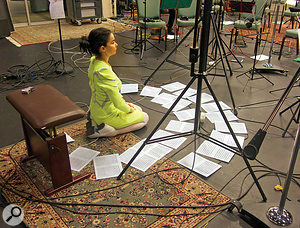 Björk was aided in her efforts by engineers Bart Migal, who assisted her in New York, mostly recording her vocals, and Frank Arthur Blöndahl Cassatta, who worked with her in Reykjavik, mostly recording strings. Slate Digital’s Virtual Mix Rack was used extensively to help ‘warm up’ the sound of the strings. FabFilter’s Pro–MB multi–band plug–in was used to control the frequency excesses of Björk’s dynamic vocal performance.By the end of this period, the recordings for the songs ‘Lionsong’, ‘A History Of Touches’ and ‘Black Lake’ were complete. This meant that Björk still had barely half an album finished, and to speed things up she decided in May to contact another engineer, who could work full–time on the project until its completion at the end the year. The next seven months consisted of more recording, programming, doing additional overdubs, and an embroidery–like, prolonged, painstaking mix process. The engineer who Björk contacted in May 2014 was Chris Elms. The Briton attended the BRIT School in Croydon, played guitar live for Leona Lewis and Katie Melua, and five years ago started to work as an engineer for producer Guy Sigsworth. Elms’ engineering, mixing and programming credits since then include Alison Moyet, Diana Vickers, Jessie J, Tinie Tempah and Tinchy Stryder, while two years ago, Sigsworth and Elms worked on Alanis Morissette’s Havoc And Bright Lights (see SOS October 2012 issue). Sigsworth has worked extensively with Björk, and he recommended Elms to her. Elms recalls: “When I first arrived in New York, all the songs had been written, with the recording of some songs completed, including final strings and vocal productions, and the rest of the songs sketched out in Pro Tools, in most cases also with final vocals. A lot of the work I did from May onwards was working with Björk on preparing the strings of the unfinished songs for recording, and of course Alejandro did a lot more programming as we went along and the songs changed shape and became more and more formed. ‘Stonemilker’ was just a single keyboard track at that point with a string sound, to which Björk had sung a scratch vocal. That was the seed of that song. 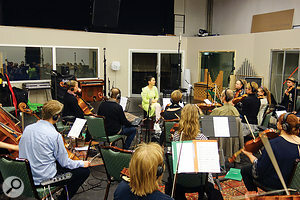 “Björk and I were mocking up the strings in her computer using Native Instruments’ Kontakt with NI’s Session Strings Pro orchestral sample library. That sounded good enough for her purposes. 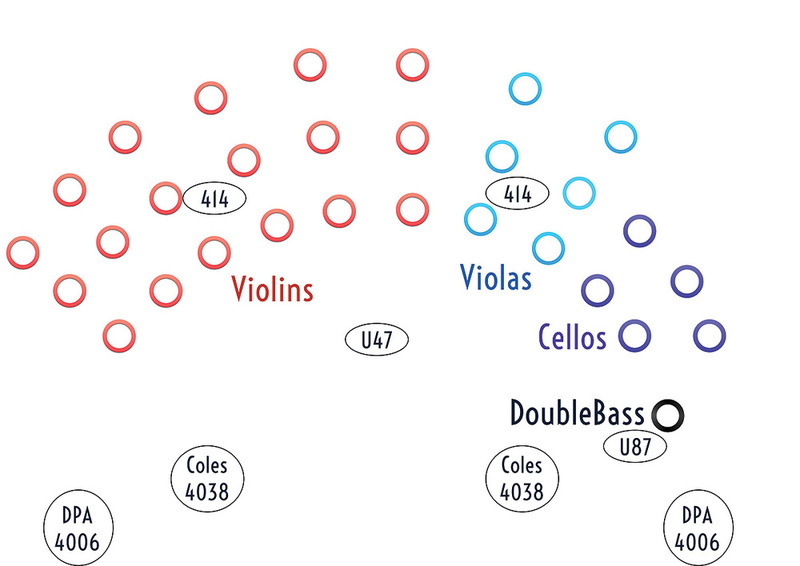 We were using just three layers — pizzicato, tremolo and legato — and that was it. Björk has a great ear for melody, and she knew exactly what the finished result, with the real strings, was going to sound like. Although she has an M–Audio keyboard, a lot of the work she does is simply with mouse and computer keyboard. Most of the album was mixed by the Haxan Cloak, though on ‘Stonemilker’, the beats from his mix were married with the vocals and strings mixed by Chris Elms. This Ableton Live screen shows his treatment of the ‘melodic dots’ track.From his home studio in East London, Krlic elaborates: “Björk apparently was aware of my second album [Excavation, 2013] when it came out, and I met her when I was playing the ATP Festival in Iceland in June 2014. A couple of months later she e–mailed me asking if I was up for mixing her album. She sent me a couple of songs just to gauge my response and approach, and I started mixing these songs at my home studio in September. After I had done a number of rough mixes she came over, and we spent a few days at a nice small studio in Shoreditch in East London, called Baltic Place. We worked on ‘Lionsong’, ‘Black Lake’, ‘Mouth Mantra’ and ‘Atom Dance’. “Following this I went to Reykjavik, in October, where we worked at a studio called Room 313. Things went back and forth between us for a good four or five months, with me doing a lot of work in my home studio. Generally what happened was that I would receive stems, and I then did a lot of the mixing and also some programming at home, and I’d send that to her, and then we’d tweak things together at 313. We also worked for a few days at Strongroom Studios in London, but most of the mixing took place at 313. The entire mix process was long, and thematically it was very heavy. But with nobody in a rush, it enabled everyone to reflect on the work a little bit more. Chris Elms: “I first heard this song when I met Björk in New York in May 2014, and she mentioned that it had to have a lush, big mix. I could hear that straight away, and therefore gravitated towards this song. It’s my favourite song on the album, and whenever I had free time I would work on it, to make it sound better. I come very much from the pop world, and my general approach is to get a big, lush sound in a mix. I listen to Girls Aloud by choice, and my all–time favourite album is Def Leppard’s Hysteria! It’s pop. I love the fact that you can hear that they were obsessed with every sonic element on that album. No compromises were made at all, everything is as perfect as possible. I wanted to bring the same quality of care to the mix of ‘Stonemilker’. I felt that it had to have a luxurious, 3D sound that you can immerse yourself in. I don’t think I knew at that stage that it was to become the first single. 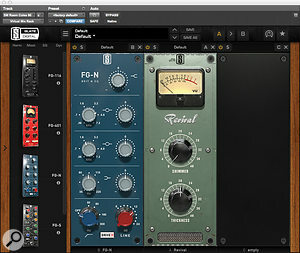 Strings: Avid TL Space, Slate Digital VMR, VTM & VBC, Waves Renaissance EQ, Hybrid EQ, Q10, Renaissance Bass & S1, SoundToys Decapitator, Kush Audio Clariphonic, FabFilter Pro–MB, iZotope Ozone 6. “The string session Edit window shows nine MIDI tracks at the top, followed by melody, chordal and chorus parts, all heavily edited. The MIDI mock–up tracks were not used in the final mix. They were there for reference, for me and the string players, during the recordings. The rest of the tracks are the complete string recording, which I loaded up for Björk, and she went through them and muted things and rode the volumes how she wanted them. This is why so many sections are greyed–out. She has such an acute ear. We would spend four or five days listening to all the recordings, and she’d chop and mark it up, and when it came to putting it all back together, she could remember all the best parts, and how to make a comp from that. 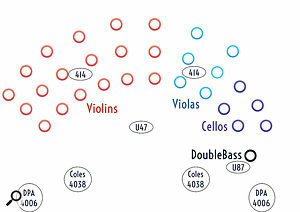 “There are six plug–ins in total on the viola clip-on mic stem, but none of them are doing much. The REQ is a high–pass at 150Hz, the VMR is taking out some harshness, and it’s automated to take down some 1.5kHz when Björk sings, so the violas don’t clash with her vocals. The Decapitator adds a bit of warmth back in, the H–EQ is doing some mid–side EQ, taking a couple of dB mid–range out, again to create space for Björk’s vocals, and the Q10 is taking out a very specific frequency with a very tight Q. After that there’s some Slate Digital Tape Machine that adds some nice energy. “I also had many plug–ins on the other clip-on string stems, like on the cello a Kush Audio Clariphonic EQ, which is brilliant. 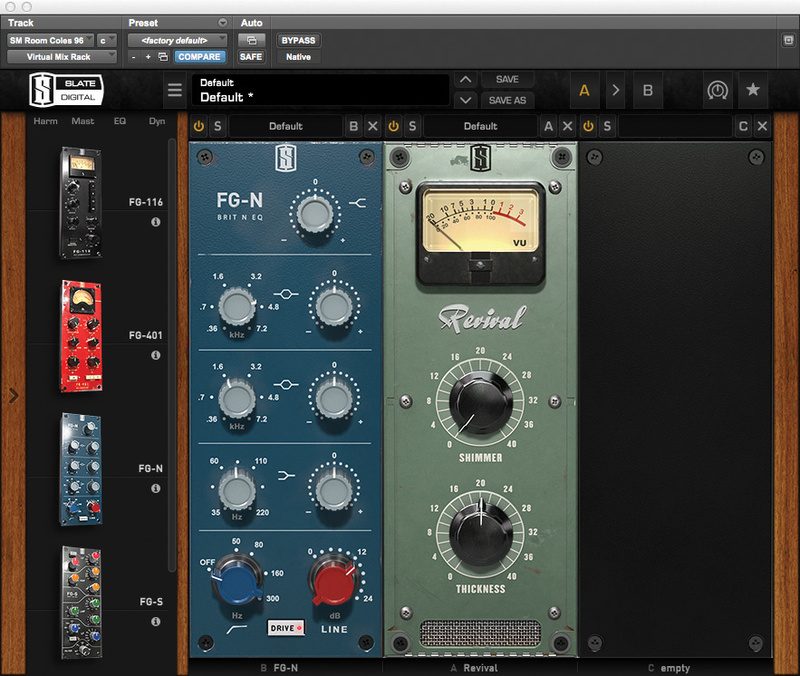 It does some black magic — from what I can hear, parallel EQ in the high end. It’s nice for boosting high end without getting harshness. There’s also an RBass, which is automated to bring the low end out when the cellos play the root note and the drums kick in. “The Coles room ribbon mics are very warm–sounding, but I also wanted to give them a bit more upper–end sweetness, so I added the Clariphonic EQ to that as well, plus the Virtual Mix Rack Revival, the Renaissance EQ and the SoundToys Decapitator. The Revival basically has two knobs, ‘Shimmer’ and ‘Thickness’, and I used the latter quite a lot, to add warmth without making things sound muddy, which always is the battle. 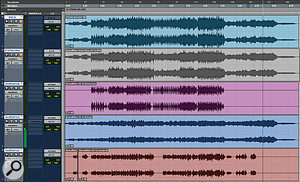 The green track called ‘Room Mics’ is my bus of all my stereo room mic pairs, and it has the Slate Digital Virtual Tape Machine, VMR Neve EQ to take out some harshness, and the FabFilter Pro–MB multi-band compressor, which acts in the upper mids, but only when the strings are really going for it. VBC [Virtual Bus Compressor] is another Slate plug–in, and I’m using its Fairchild emulation for a bit of character and to hold it a bit. From the ‘Room Mics’ track, things go to the blue ‘Verb Room Main’ effects track above it, which has another Avid Space reverb, the Virtual Mix Rack and an S1 imager — wider is always better! 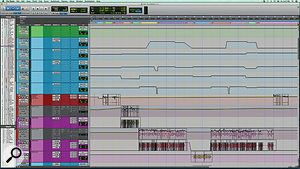 Vocals: Teletronix LA2A, Waves Renaissance EQ, H–Delay, C1, FabFilter Pro–Q & Pro–MB, Slate Digital VMR, Softube RC48. Elms: “There’s a red track at the centre of the vocal section of the mix, which is a comp of the main vocal. This is the track that was recorded in New York with the Soundfield microphone. I think the original idea was for the track to be binaural. I summed the binaural recording to mono in the middle of the track, to get more clarity and to make sure it could cut through the strings and the electronic beats. There are two grey, deactivated tracks, which are vocal sends to an outboard LA2A. These grey tracks have intense volume automation and several plug–ins, like the Renaissance EQ, which is a high–pass at 70Hz, and the FabFilter Pro–Q EQ and Pro–MB multi-band. In the grey track with the vocals for the main part of the song, the Pro–Q takes out one frequency with a tight Q, and the Pro MB takes out some root harmonics and a little bit of harshness at 2kHz, but it’s dynamically moving. The reason I used the LA2A was because Addi, the owner of Room 313, kept raving about an original 1968 LA2A which he had just bought. I ran Björk’s vocals through it just to try it out, and it really did sound good. I had been using an LA2A emulation plug before, but the real LA2A unit had such character and presence. 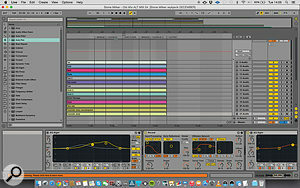 Beats: Ableton EQ, reverb & compression. Krlic: “I did an entire mix of ‘Stonemilker’, but only the electric elements of my mix ended up in the final version. 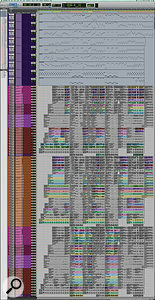 I mixed ‘Stonemilker’ like I mixed all the other tracks, which was to first organise everything in groups. With track counts between 100 to 180 tracks I needed to do that to make things more manageable! I’d then start working on Björk’s vocals, applying EQ, notches, volume automation and so on. Once I had the vocals in a good place, I’d go through the beats, and I’d get them to sit well with the vocals. 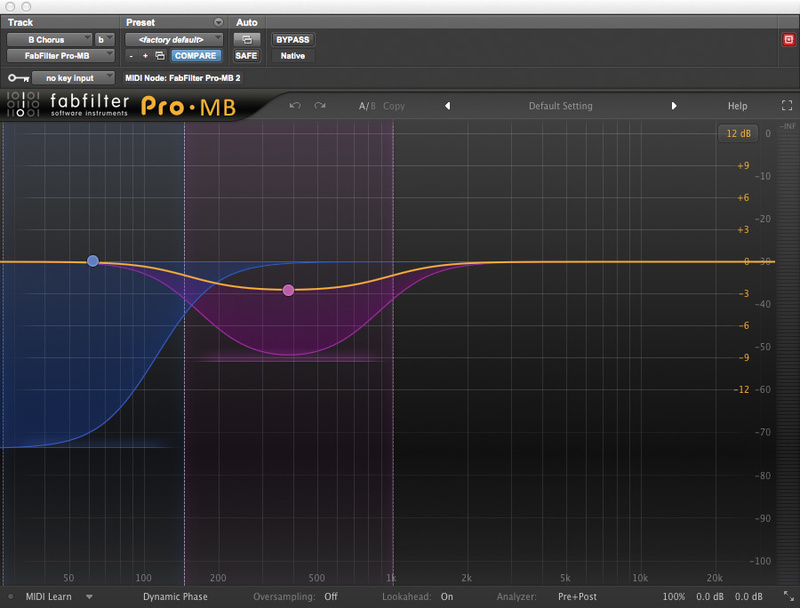 Stem preparation: FabFilter Pro–Q 2 & Pro–MB, NI Transient Master, Slate Digital VTM. 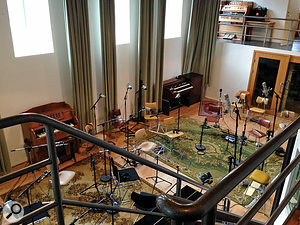 Mastering took place at Mandy Parnell’s Black Saloon Studios in London, with only she and Björk present. As Elms already explained, he and Krlic did not only hand over a stereo master, but also vocal, strings and electronics stems for each song. It’s a process Björk and Parnell had already worked with during the mastering of the singer’s previous album Biophilia (see SOS January 2012), and it gave Björk the freedom to swap Elms’ treatment of the electronics for Krlic’s at the last moment. Elms: “Really the mix should be credited to her, Bobby, and myself! 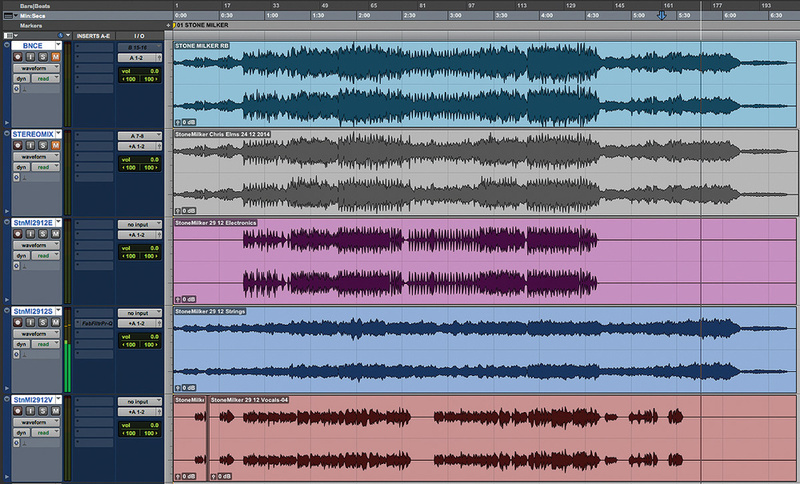 On the screenshot of the ‘Stonemilker’ mastering session you can see the three stems at the bottom and above that my stereo mix, and at the top the final master. When I got the call from Björk saying that she wanted to use Bobby’s stem, he sent me a stereo file of it, and I wanted to make sure that it fitted with my mix of her voice and the strings. 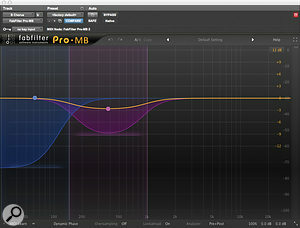 So I EQ’ed his stereo mix, using the Pro–Q 2 and the Pro–MB. I took out a specific frequency in the kick drum, and I then enhanced the transients of it with the Native Instruments’ Transient Master. I also enhanced the snare transient, and took out some upper–end distortion on the snare. The multi–band compressor softened the frequencies up a touch, and I added some warmth with the Slate Virtual Tape Machines. I sent that back to Mandy. And, it can be added, on a profound journey on other levels as well. 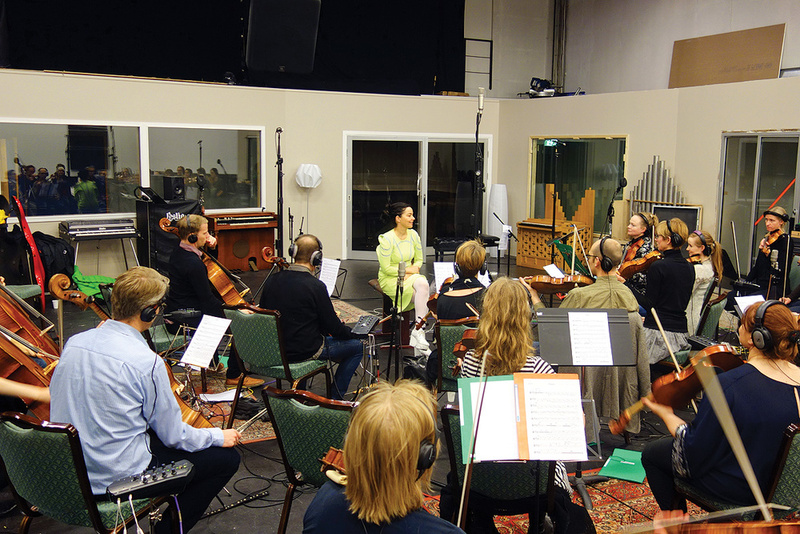 The first string recordings with Chris Elms’ involvement took place in October 2014 at Sundlaugin Studio in Reykjavik, with a 15–piece string orchestra called U Strings. The strings to ‘Notget’, ‘Atom Dance’, ‘Mouth Mantra’ and ‘Quicksand’ were recorded during those sessions. In November there was a second set of string sessions in Reykjavik, this time at Syrland Studios, with U Strings expanded to 30 players, performing the strings for ‘Stonemilker’ and ‘Family’. 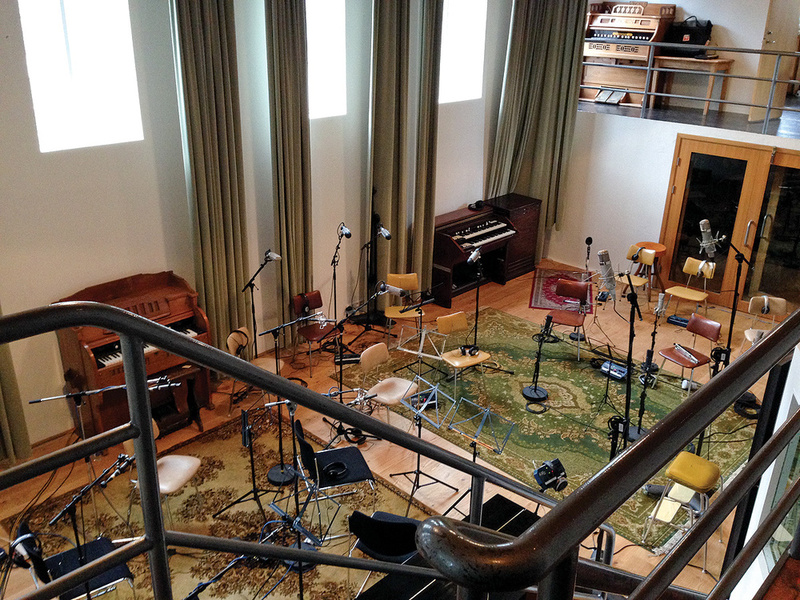 Another session at Syrland saw a 14–piece choir recorded for ‘Mouth Mantra’. “The close–up string sound on Vulnicura is 100 percent intentional,” Elms comments. “Björk said that she wanted a warm sound with lots of presence, and that she wanted to hear the bows on the strings. She said she wanted to hear the wood. So we miked the strings a lot closer than you normally would for the first string session. But she wanted the strings to sound even closer for ‘Stonemilker’ and ‘Family’, so for the Syrland Studio sessions I opted for clip-on mics on all strings, using DPA 4099 and 4060 mics. She really liked the sound of that. She just wanted to get as close as possible. “I thought it was a good idea to keep our options open, so I also had three pairs of room mics: a pair of DPA 4006 mics really wide out front, a pair of Coles 4038 ribbon mics just in from them and then a pair of AKG C414s in the second row of the orchestra. Plus I had a Neumann U87 close mic on the bass, and also one mono Neumann U47 in the middle, to give some additional presence to all the strings. I ran all these mics through the excellent preamps of Syrland’s Cadac console. With 30 feeds from the contact mic and the rest of the mics, we probably recorded 40 tracks at the same time, which was pretty taxing for a computer with the sessions running at 96k! Bobby Krlic grew up in Yorkshire, learned to play the guitar, and studied Music and Visual Arts at Brighton University. “What got me into electronic music was that I did a lot of DJ’ing of rap music as a teenager, and that got me interested in how people were making beats and stuff. I found out that people were using hardware samplers, so I started off with an Akai MPC2000, and then I had an Akai Z4 sampler, and then someone told me I should get a Mac, and he gave me copies of Cubase and Reason. Particularly Reason got me into working with MIDI, audio, basic synthesis, and then during my first year at University, in 2003, I got a copy of Ableton. By that stage I’d made a lot of four–bar loops, I had a huge library of the stuff, and the amazing thing about Ableton is that you can just drop things in and fit it to the tempo. Ableton did everything I could imagine, and I’ve never looked back. “‘Stonemilker’ was originally called ‘Soundfield’,” reveals Chris Elms, “because Björk had used a Soundfield mic to record her vocals on top of the basic string mock-up. She had recorded the vocals for the other songs with a Telefunken 251 mic from Dreamhire in New York, which went through the Neve 1081 mic pre at her studio. Dreamhire have a vintage 251 from the 1960s which sounds great on her voice, and we wanted to buy it, so she could use it all the time, but they would not sell it. So she got the new 251E, but it did not quite sound the same. After a lot of going back and forth, in the end Telefunken and KMR Audio in London built a 251 for her according to the original ’60s spec, which sounds pretty much the same as the old one. We used her 251 when we were at Sundlaugin, when Björk wanted to redo her vocal on ‘Black Lake’. We set her up in the control room there, running the mic through the studio’s Neve 1073 mic pre.